November is Academic Writing Month #AcWriMo, and our sister site MethodSpace has been posting numerous articles on various writing themes every week! The theme of week four is: Share Your Work. As noted, in the digital age we need to think about sharing our work in more ways than the formal publication of articles or books. This post focuses on blogs, and subsequent posts at MethodSpace will look at social media. that an academic should be doing right now” (Dunleavy & Gibson, 2012). Today’s researchers, scholars, and students are finding many valuable ways to use blogs. I’ve come to realize that blogs play an important part in the publishing cycle and online ecosystem. It is not a matter of either/or: we need to find ways these different communication options fit with our larger career and research goals. Before going any further with this discussion, it’s important to define blogs and to distinguish between blogs and social media. Blogs, short for weblogs are personal online journals where entries are posted chronologically. Microblogs use the same principle but allow for very short entries. Blogs can be text only or embed or link to images or media. Some are public and others are only seen by subscribers or friend lists. Bloggers can choose from a number of free or paid platforms where they can devise their own templates, adapt or use available templates. Popular platforms include WordPress, Blogger and Squarespace. Blogs are very flexible and users can create a wide variety of formats and styles of presentation. Some are very basic with simple narrative posts and others are complex with design features that include text and media in static pages and time-sensitive posts. Bloggers use comment features to invite feedback or to interact with readers. Bloggers may choose to generate revenue with advertising and other promotions. 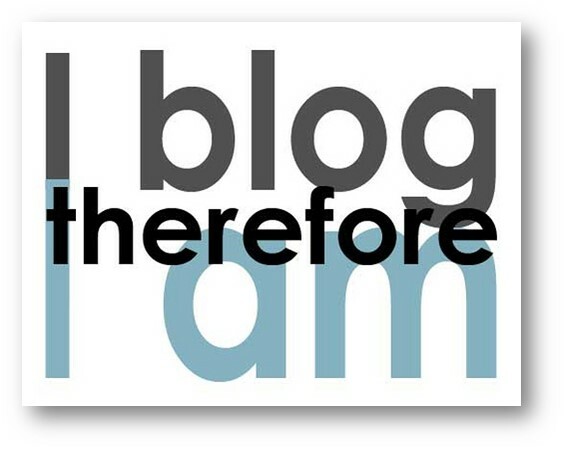 Bloggers are not limited by proscribed lengths, styles, features or page designs. This flexibility stands in contrast to posts made to social networking sites. Social networking sites are typically run as commercial platforms by large companies. These companies have determined ways to make a profit from user-generated material and are thus invested in allowing certain kinds of posts. Brands are built on the sites’ graphic design and features. Users of sites like Facebook can be surprised to login and find that their pages’ format has changed. They have become accustomed to seeing advertising on their walls, as well as links to other content the company has decided is of interest to users who fit a certain profile. Users of the microblog tool Twitter accustomed to the 140 character limitation were surprised to see the limit expanded to 280 characters..
Social networking sites and blogs are typically interconnected. Bloggers use social media in order to build an audience. They create posts that fit within the constraints of the social networking sites, but link back to the blog where they have the freedom to present information in the way they prefer. Bloggers can use social networking to interact with others and use their blogs to present more substantial writings, and other expressions such as graphics and media. The important point here is that by knowing the strengths and weaknesses of each type of site, we can make better choices about which best meets specific academic purposes. Researcher-to-Public: Sharing and applying findings, results and practical resources. Researcher-to-Researcher: Academic bloggers communicate with each other for exchange and networking within or across disciplines. They present information in ways that build upon a shared foundation in the topics under discussion, and a shared understanding of the protocols and expectations for activities such as conducting research or teaching at the college level. Blog posts offer an opportunity for input on work in progress from others in the field. These blogs are places to share resources, links to recent publications, calls for papers, or notices about upcoming conferences, or other opportunities of interest to other academics. Researcher-to-Participants: Academic bloggers communicate with prospective or current participants. They present information in ways the study population will understand. Blogs intended for this purpose can introduce the study, develop the credibility of the researcher, be used to support recruitment efforts, and help to inform participants before and during the study. Researcher-to-Public: Academic bloggers also communicate with professionals, practitioners, and the general public. They present information in ways that anyone would understand and find of interest. The researcher may translate academese or disciplinary jargon into more familiar terms. The researcher may offer recommendations for applying findings in practical ways. This type of blog is designed to share findings and/or to build awareness about the issues and problems under investigation. Patrick Dunleavy introduced another way to categorize academic blogs, and I think his approach meshes well with mine. He distinguishes between them according to the number and type of all author: solo, collaborative, or multi-author (Dunleavy, 2014). Table 2 is adapted from his model. Type of blog and authorship The blog owner is responsible for direction of the content and writes the posts. Occasionally guests contribute. The blog or another serves as the editor, giving the site in personal style. Usually 2 to 10 authors generate and edit the blog’s content. Guest blogs or columns are written by regular contributors. Editorial roles may be rotated or shared. An editorial team commissions or collates contributions from many authors. Posts are professional edited and the site has strong production values and design. 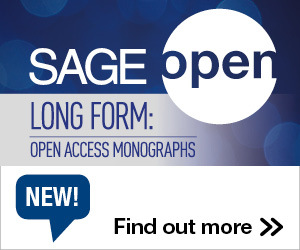 The blog may have a formal tie-in to a scholarly journal or trade publication. 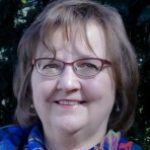 How do readers find the blog? Individual authors’ identities are key to the brand. Topic or disciplinary identities help to develop a brand. Strong branding, linked to university, media outlet or professional/scientific bodies or journals. Table 2: Types of blogs identified by Patrick Dunleavy (2014). See the article for additional categories and the full table. As an academic with an interest in blogging, you have the choice of designing and launching your own solo blog, finding a group of like-minded writers who want to begin a collaborative blog, or looking for opportunities to contribute to a multi-author blog in your field. Alternatively, you can look for opportunities to contribute as a guest writer for blogs that focus on your area of interest. How might these categories inter-relate? A juxtaposition of Dunleavy’s and my categories for academic blogs is illustrated in Table 3. The columns are intended here not as a fixed set of boundaries but more as a continuum between on one end, the individual DIY blogger who is responsible for everything from choosing the domain name, platform, hosting service, and figuring out how to make it all work to on the other end of the continuum, a professional operation more comparable to journal or magazine production. Researcher-to-Researcher The researcher creates a blog where he or she posts information about research interests, projects, conference presentations and publications. Researchers with a shared interest, area of inquiry, methodology or discipline work together to create a blog about their individual or team research projects and related events and resources. The blog may serve as a channel for connecting with new research partners, conferences or funding opportunities. Professional society, association, or university group sponsors a blog for researchers working in a specific area of inquiry or discipline. Writing in the blog and any related publications is aimed at other scholars and academics in the field. Researcher-to-Participants Individual researchers or research teams use a blog to explain the purpose of the study and expectations, benefits and/or risks for participants. As appropriate, findings are shared with the participants. Links are shared on social networking sites. Announcements for opportunities to participate in studies are posted on the blog. Links are shared on social networking sites. Researcher-to-Public The researcher creates a blog where he or she posts information about research findings and their application. The researcher may use the blog to promote his or her workshops or consultations about how to apply research findings. Links are shared on social networking sites. The group of collaborative researchers and writers creates a blog with the intention of disseminating research findings to those who can use them. The researchers may use the blog to promote workshops or consultations about how to apply research findings. Links are shared on social networking sites. Articles about application and practical use of research findings are featured on the organization’s blog. A blog may be one of many channels for reaching the public. Articles may be associated with products and services available for sale such as handbooks, workshops or training. Links are shared on social networking sites. Solo: This Sociological Life from Deborah Lupton, Helen Kara, Patter, from Pat Thompson, and The Academic Creative from Katie Linder. Multi-Author: London School of Economics Impact of Social Sciences, and ACRLog, a blog for academic and research librarians. SAGE Methodspace is also an example of this type. Multi-Author: Policy Press’s Discover Society. Research in Practice, and Teacher Toolkit, . If you want to blog about your research, will it best serve you to aim your writing towards others in your field, your potential or current participants, professionals who can use your findings, or the public? Do you want to commit to managing all aspects of the blog, and regular posts? Or would you rather join with others for a collaborative effort? Do you want to submit guest posts to more professional multi-author blogs? If so, which will best align with your purpose? 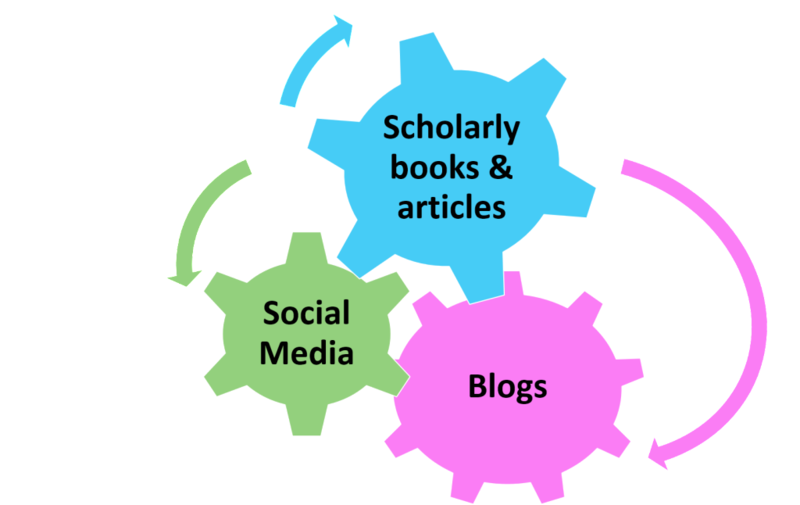 Please share your favorite academic blogs and let me know how you think they would fit into these categories. Do you think the blogger or bloggers achieve their purpose? Why or why not? Share your ideas and examples here or in the #AcWriMo Twitter thread. Want to learn more about academic blogging? Note: Parts of this post were published previously on Vision2Lead.com. This entry was posted in Communication, Tips and tagged ACWRIMO, Blogging. Bookmark the permalink. Trackbacks are closed, but you can post a comment. I have come across use of blogs and sometimes social networks for science communication. Some bloggers very religiously blog, and the blog is not part of their formal mode of communication (in academics and teaching). At the same time, some science/ research bloggers have shared that writing posts on established research blogs is a better and less-time consuming way of blogging as the contributor does not have to maintain the blog.